What makes Rolex stand out? 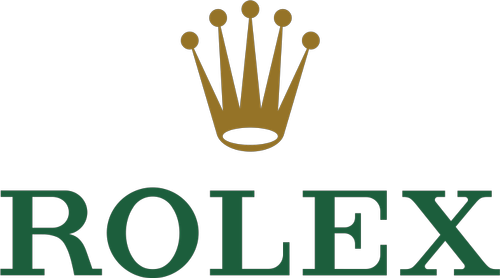 Rolex stands as the single largest, most important watch brand in the world - its reputation for supreme quality, rich heritage and its unmistakeable crown represents a universal appreciation of all things luxury and quality. With classic styles such as the Submariner, iconic watches such as the Paul Newman Daytona and the choice of many of the world's elite, owning a Rolex is a must for anyone with a taste in watches. Starting in 1905 as "Wilsdorf and Davis", Wilsdorf went to work for three years to find the perfect name for his company - something simple and elegant that could be said across all languages. This simple elegance would help drive the overarching ethos of the company to years to come, as it set out to be one of the pioneers of the wristwatch - mixing elegance, quality and reliability into its products. Its dogged dedication to chronometric precision was rewarded in 1910 as its wristwatches were the first to receive the Swiss Certificate of Chronometric Precision, followed by the development of the first waterproof wristwatch - the Oyster - in 1926. However, the introduction of the Perpetual movement - the first self-winding mechanism with a perpetual rotor - in 1931 stands as the most significant invention in mechanical watch history, as it sits at the heart of every modern automatic watch today. With revolutionary models such as the Datejust, Submariner, GMT-Master and Milgauss following their early successes, Rolex stands as one of the true creators and drivers of wrist watch innovation, quality and luxury in the modern world. Rolex's dedication to precision and quality persists to this day - its chronometer certifications are received after a rigorous testing schedule over two weeks in different environments, and the longevity of its vintage watches are a true testament of this intense focus on quality. Therefore, every watch adorned with the Rolex logo is manufactured according to precise standards, with only the most exquisite materials. Rarer pieces in the lineup still command hefty pricetags, with the Paul Newman Daytona fetching a record-breaking $17.75m in 2017. This is as each piece can be seen as an emblematic timepiece that serves as a crown of accomplishment for the distinguished wearer.